The La Reine (Boucq) Sector (also known as the Toul Sector) was the southeastern aspect of the St. Mihiel salient which was a bulge in the Allied lines remaining from the original German advance in 1914. This salient continued to threaten Verdun and Toul along with the entire right side of the Allied front (See detailed maps of this salient in the “Map Room”). The principle feature of the terrain in this sector was a ridge east to west from Flirey to Apremont with a highway running along it. The front line was anchored on the towns of Seicheprey and Xivray-et-Marvoisin, continuing into Bois Brule where it linked up with lines held by the French. 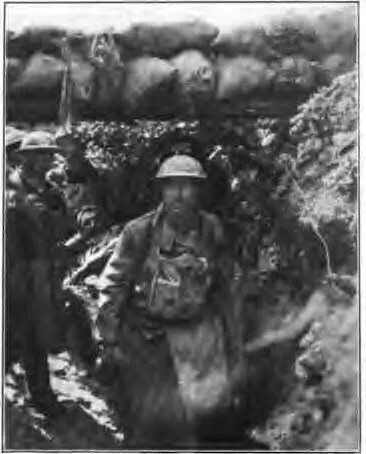 The Germans (5th Landwehr Division) had the tactical advantage of both observation and attack as the Allied front could be penetrated through several shallow ravines. 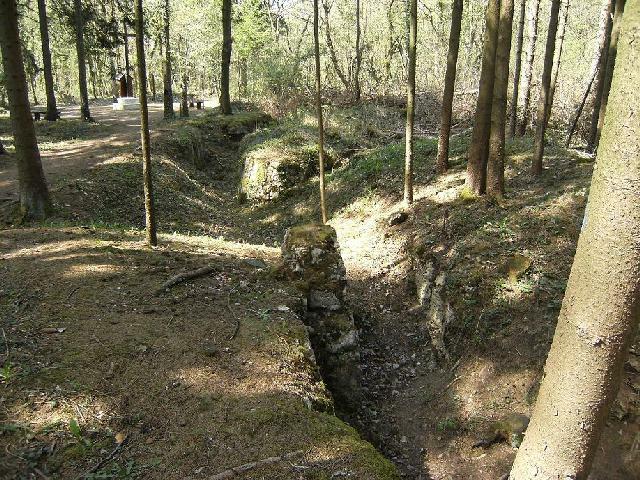 In addition, the Allied trenches were in very poor condition and had drainage problems. The entire length of the La Reine Sector front was 18 kilometers and this was the first time an entire sector was completely entrusted to an American division. 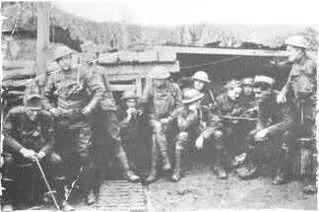 On March 28, 1918 the 26th Division’s infantry was hastily moved by French trucks and motor buses to points just in the rear of the sector while a German gas bombardment was in progress. 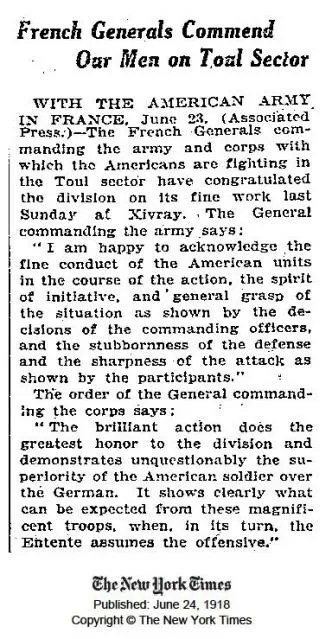 There was a great amount of confusion at both the French and American staff level while the 26th Division passed from the command of the U.S. 1st Corps to the French 32nd Corps. On the day of the movement orders were changed nine different times, bewildering regimental commanders with their rapidly changing and contradictory nature. Guides did not know the way that American units should be directed. One of the 26th’s infantry regiments (the 104th) even completed its relief and took position on the line without having received a definite order at all. 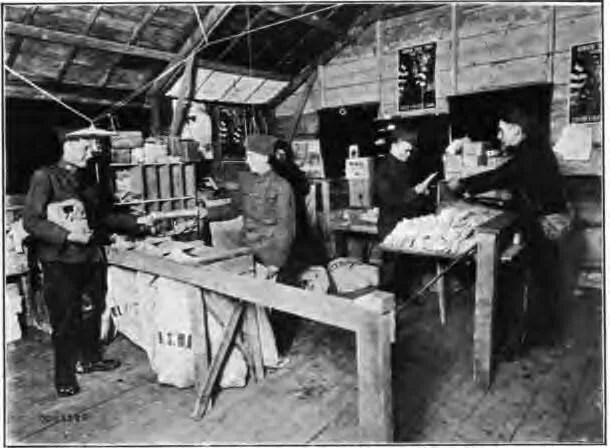 Furthermore, many units needed to improvise their cooking arrangements for days afterwards due to having field kitchens lost or damaged during the transition. The 103rd Regimental HQ was at Vertuzy from April 2-5 and Divisional HQ was opened at Boucq on April 3, 1918. 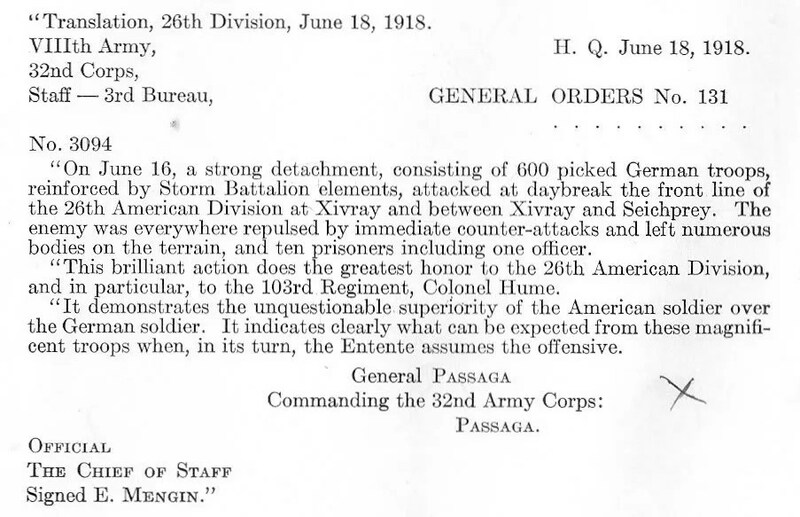 Subsequent memoranda published at the General Staff School at Langres strongly criticized this relief movement as an example of what not to do, and placed responsiblility on both the American and French command staffs. Predictably, the repercussions filtered down the chain of command and supported the popular belief that there was a robust Regular Army bias against the National Guard troops alive and well at AEF General Headquarters. The 103rd infantry was initially held in reserve, the rear echelon being centered at the railhead in Menil-la-Tour. The two necessities of life throughout the sector were to maintain cover during daylight hours and to encode communications with extreme care. 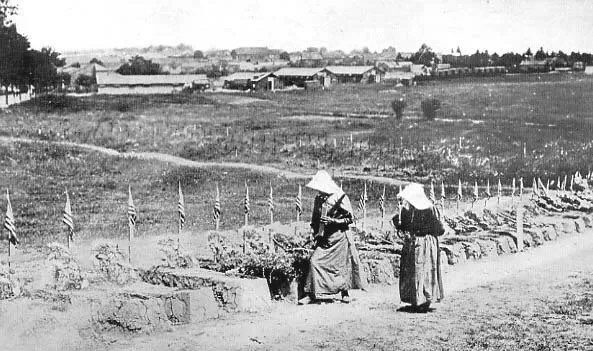 Incoming artillery, sniper and machine gun fire were a daily occurrence along with frequent artillery bombardments of high explosive and gas shells at night which were directed at the towns held by the Americans. At breakfast, dinner and supper times the Germans would regularly shell the field kitchen areas with gas and high explosive in order to disrupt the feeding of the troops. From April 1-15, the Germans fired over 20,000 high explosive and 2,000 gas shells into the American lines. On April 12, men of the 103rd Infantry were sent into the left side of the line at Bois Brule near Apremont and St. Agnant to reinforce the 104th Infantry which had been under heavy artillery and infantry attack since April 5. The position in Bois Brule was difficult to defend. 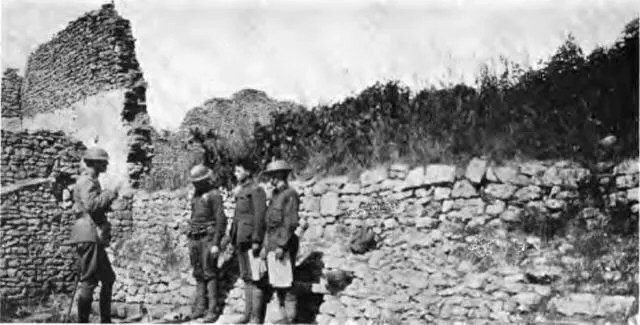 Similar to the Chemins des Dames, forward outposts consisting of short sections of trench were open to enemy attack and were occupied by small groups of men with machine guns whose mission was early warning and to delay any attack with resistance to the last man. Once again, no reinforcements would be supplied from the main line. In addition, the German position opposite the 103rd’s line in Bois Brule was known to possess 16 minnenwerfer trench mortars (known as “Moaning Minnies”) sighted on the advance American trenches which they hammered with 120 lb. shells to greatly damaging effect. 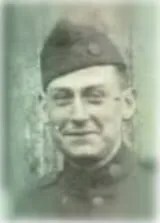 Throughout the afternoon and evening of April 12, the 103rd was engaged in small unit close combat with German infantry in a tangle of earthworks, wire and underbrush. The enemy was finally driven back from the American positions. Following this action, the 103rd Regimental HQ was relocated to Gironville on April 15 where it remained until May 22. 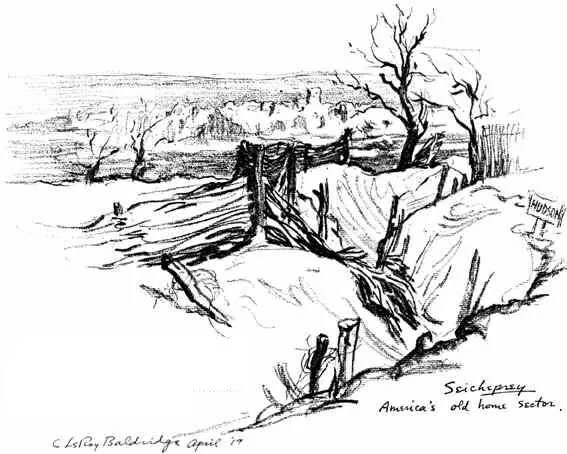 On April 20, following a 90-minute pre-dawn gas bombardment and taking advantage of a heavy fog, a German force of about 1800 troops assaulted positions held by the 102nd Infantry at Seicheprey, capturing almost an entire company of 200 men. It was during this action that Stubby (refer to the page “Stubby, 26th Division Mascot”) was wounded by a grenade fragment. At the same time, throughout the day the Germans fired over 21,600 gas shells, 4,200 high explosive shells and 6,000 trench mortar shells into the American lines from Xivray to Bois de Remieres. This bombardment destroyed all communications in the sector, smashed American artillery liason and caused the infantry units to lose all track of each other. On May 10, at 0115 hours in a heavy fog, the Germans detonated 1,141 gas projector bombs containing over 20 tons of phosgene on the south slope of Hill #322, Bois de Apremont, St. Agnant and the surrounding trenchworks which were occupied by the 103rd Infantry. Additional incoming gas, trench mortar and high explosive fire was taken by the 103rd at 0525. A total of 33 men were killed, 12 wounded and 162 hospitalized due to gas from the night’s work. The 103rd Regimental HQ was relocated to Laigne from May 22-27 and then to Royaumeix where it remained until June 13. 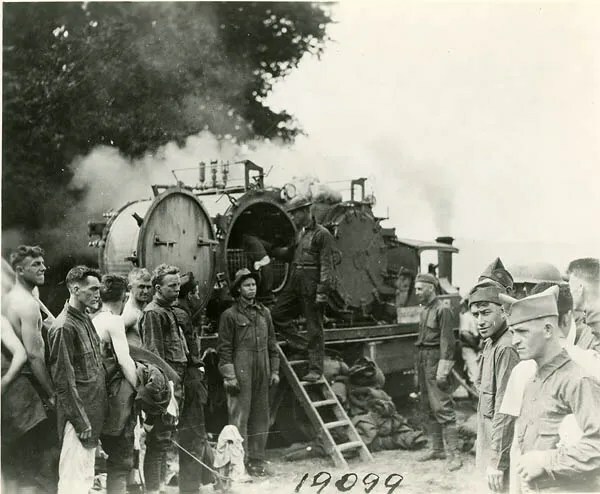 The month of June saw increasing action with 120 men of the 103rd gassed in separate attacks from June 13-27 while holding the line between Xivray-et-Marvoisin and Seicheprey. During this time the 103rd HQ was at Raulecourt from June 13-27. On the morning of June 16, the 103rd Infantry was attacked in force by German infantry while holding the sub-sector of Xivray-et-Marvoisin, Bouconville and Rambucourt very close to the enemy lines. The attack began with a concentrated artillery bombardment followed by infantry assaults on three sides (north, east and west). The 103rd repulsed the German attacks at a cost of 28 killed, 167 wounded and 47 gassed. The dead included Pvt. Charles Lolah, a Passamaquoddy Indian from Pleasant Point, Maine who was awarded the Croix de Guerre for conspicuous gallantry. The Germans withdrew leaving more than 60 dead, 10 prisoners and equipment including machine guns and flame throwers. Heavy German shelling continued throughout the sector for the next four days, eventually forcing evacuation of Division HQ from Boucq to Trondes a mile further to the rear. On June 19 the 103rd Infantry suffered 172 more gas casualties during a bombardment of 2000 gas shells which began at 0315, directed at Seicheprey, Beaumont and Nandres in retailiation for a large American gas attack on German targets in the Bois de la Sonnard. 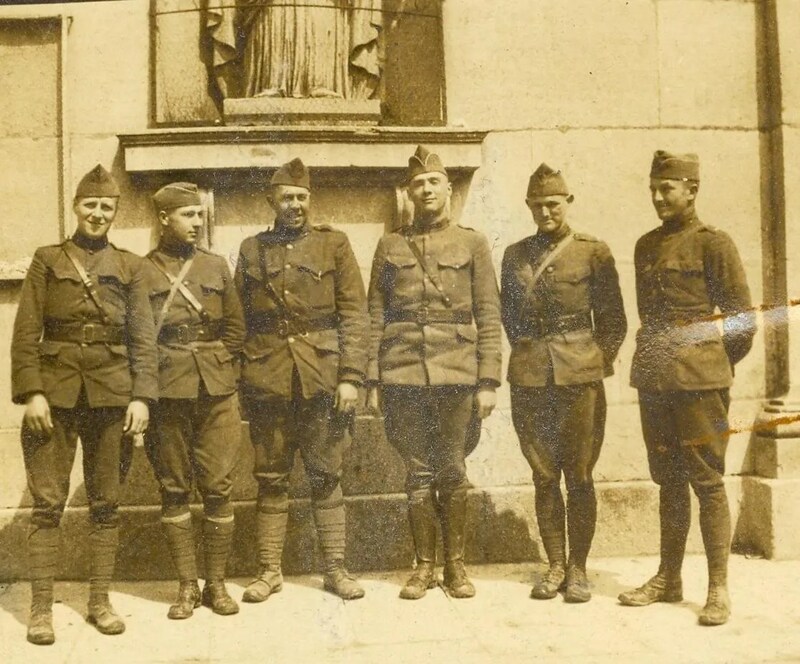 Read Soldier’s Mail from the Toul Sector: April, 1918; May, 1918; June, 1918. Please refer to the “Map Room” page to view detailed maps of the St. Mihiel Salient. CAn you help me with more information?? If you can send me digital images of both sides of the medal I will try to find out some information for you.